Home / Fitness / workout / DIP IS A MUST DO EXERCISE IN YOUR WEEKLY ROUTINE AT HOME! 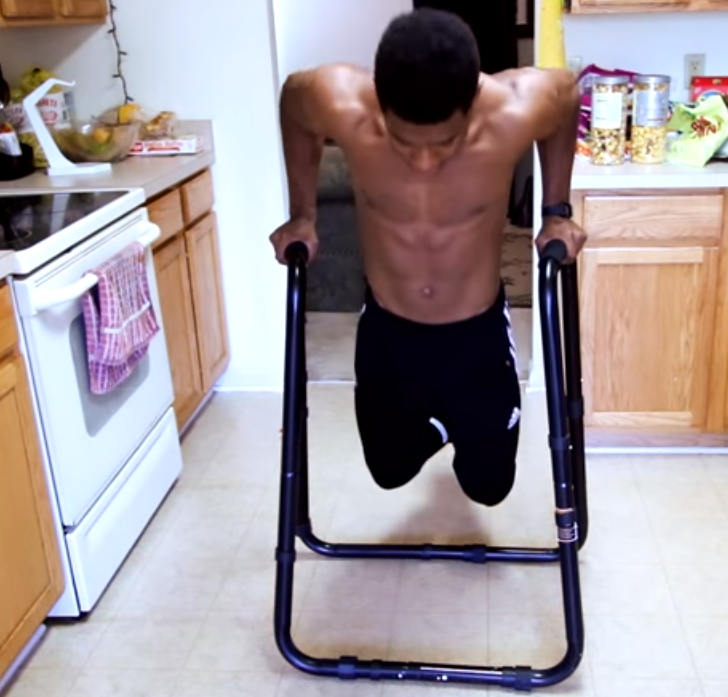 DIP IS A MUST DO EXERCISE IN YOUR WEEKLY ROUTINE AT HOME! Dips are a fantastic exercise for building the lower portion of the chest, as well as working the triceps and shoulders! You can perform dips by grasping two parallel bars that are approximately shoulder-width apart. Raise yourself up to an initial position with your arms extended and supporting the entire weight of your body. Next, lower yourself to a final position where your elbows are bent and your shoulders are mildly stretched and then use your arms to push yourself upwards to the initial position. In order to add more emphasis on the chest, bend your upper body forwards during the exercise so as you are tilting forward. In order to add more emphasis to your triceps, perform the exercise while keeping your upper body straight and perpendicular to the floor. It should be recognized that although Dips are a great exercise, they aren't for everyone. Trainees having existing shoulder pathology may find Dips painful.